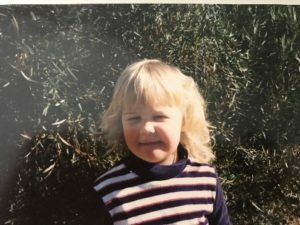 This week, Principal Consultant & HR Lead, Simone Jones, gives an honest account about her own fears on returning to work. I read a book recently that talked about fear from success and one of the things the author asked was “How do you respond to fear”? I found myself thinking about this and knowing damn well that, I have perhaps just shrugged off the idea of stretching my potential saying things like “Oh, that won’t ever be me” or that’s for super wealthy, highly educated calibre and they deserve to reap their career goals. I was raised predominantly by my Father and throughout my teens, I didn’t have that motherly figure in my life to push me to stand up for myself and knowing my self-worth instead I had the hilarious Dad that would always make me laugh (thankfully I think I’ve taken part of this trait) but he didn’t quite have the tools to nurture through those tough years. What I am proud of though is through the challenges I may have faced as a young adult, is my resilience. 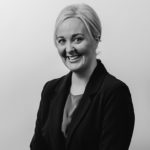 After leaving the corporate world in 2014 I became a parent myself and after taking nearly five years out of the workforce, when I did return, I realised that yes, somethings within HR had changed and I personally had to come to terms with knowing that my life as a whole had changed, I was now that mother balancing work and home. * what if I’m not good enough? * what if as a working mum, its just not on the cards for me to get back to having my career? This was uneasy for me as I’ve always been quite a strong, positive person and in my mid-30’s, I feel I have come to that point in my career knowing that if I don’t change my thought pattern and response to things that may scare me, I may never succeed in achieving my potential. Exactly what my path is and where I want to go, I can’t tell you just yet, but I can say this; everyone has fears, its intertwined in daily life and perhaps more heightened as we get older and more responsibilities creep in. I would ask the reader, what is stopping you from achieving what you want? Are you worried about putting yourself out there? Are you running away or sitting silent? What I know is that I am open to putting myself out there and open to failure which in turn will aid with continued learning. I trust myself and I trust the universe! Some very true reflections for those struggling to breakdown that fear barrier…. When you feel afraid or out of control don’t speed up, slow down – take a look at what’s driving you to do so much. Are you being driven to opportunity or is it pushing you toward your fears? Break it down into smaller pieces. Take control into breaking it down not focussing on the image of the final product (which might be way too big). And we all know how important it is to get outside and take a walk, five deep breaths can pull you back into the present! And, meditate daily! Recently we celebrated International Women’s Day and what I would say to working women that will inevitably have those ‘fearful’ thoughts, is know there is courage in your veins! Simone at six years of age. 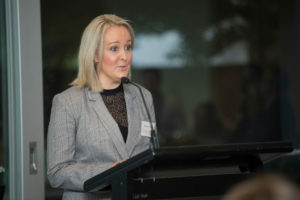 Simone, MC at Geelong’s recent HR Breakfast.